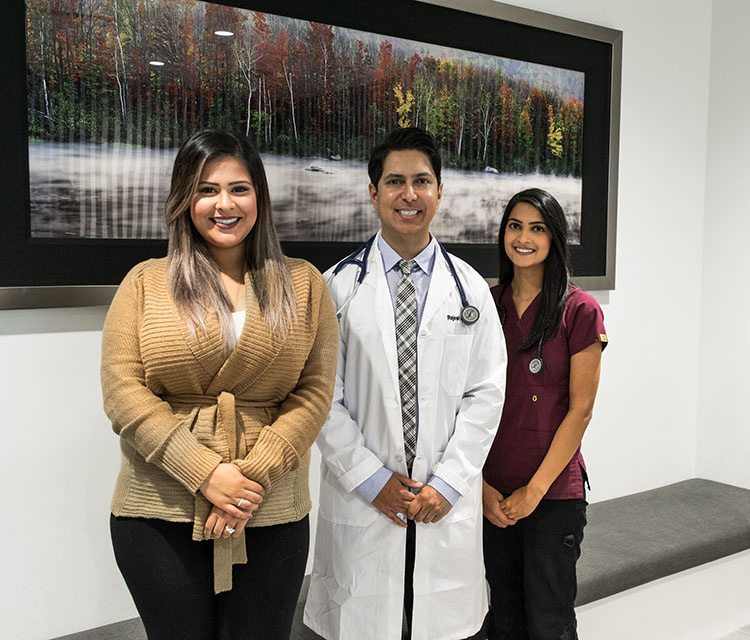 At Surrey Heart Clinic, we are committed to early detection, prevention and management of heart diseases. When our patients present us with cardiovascular problems that may be experiencing , we help determine the most probable diagnosis and formulate the best treatment plan going forward . We are well versed in the study of the electrical system of the heart and the conditions related to it. With the help of our team, we are able to identify heart rhythm disturbances and work to find the most optimal treatment plan. Our team is able to use HTM, a type of electrocardiogram (ECG) used to record an ECG tracing of the heart, to diagnose how fast the heart is beating, the rhythms of heartbeat as the impulses move throughout different parts of the heart. This is done by placing electrodes at various locations of the skin and connecting it to an ECG machine. Activity is recorded over a period of up to 24 hours and any changes in an electrocardiogram may imply a sign of a heart related illness and therefore would lead to next step of action. A treadmill exercise stress test is used to determine the effects of exercise on the heart. Exercise allows doctors to detect any abnormal heart rhythms (arrhythmias) as well as diagnose the presence or absence of coronary artery disease . Who Should See a Cardiologist? Physician Recommendation - If your physician has recommended that you see a cardiologist. Family History of Heart Problems - If anyone in your family has or is currently battling heart problems. Heart Pain - If you are experiencing any heart or chest pain. Smoker- Smoking plays a major factor for heart disease as it lowers the flow of oxygen to your heart and increases blood pressure, blood clotting, etc. If you have a history of smoking, it is highly recommended that you see a cardiologist. Diabetic- If you experience any symptoms of heart disease and are a diabetic, it is important to see a cardiologist. If you are experiencing any level of chest pain combined with sweating, shortness of breath, nausea, fatigue, healt palpitations, anxiety, low blood pressure. Director of Surrey Heart Clinic, is committed to offering his patients the most effective and comprehensive cardiovascular care in Canada.